If you have suffered injuries on someone else’s property, you may have a right to recover compensation. Premises liability claims arise from a dangerous property condition. If you or a loved one suffered injuries on someone else’s property, you may have a right to recover compensation for your injuries, including amounts for your medical bills, lost wages, and pain and suffering. Your right to recover compensation is based on an area of personal injury law known as “premises liability.” Premises liability claims arise from the duty on property owners have to keep their property - their premises - in a safe condition or to warn others of such dangerous conditions. Premises liability claims in Kansas and Missouri can arise in a variety of circumstances, including slip and falls (or trip and falls), animal or dog bites, day care injuries and negligent security cases. Our Kansas City premises liability lawyer can give you free guidance and support on how to recover compensation for your these injuries. Our law firm has helped many clients in a variety premises liability cases in both Kansas and Missouri. Please call our Kansas City law firm today or fill out the form below to schedule a free, no obligation consultation. What are types of premises liability cases? Slip and Falls or Trip and Falls. These injuries arise due to conditions on a property that caused you to either trip or slip and fall. Such dangerous conditions may include uneven sidewalks, slippery substances on the floor, broken curbs or potholes, slippery ice or snow, changes in flooring surface, uneven pavement or gravel, or stairs that are too shallow or steep or not uniform. 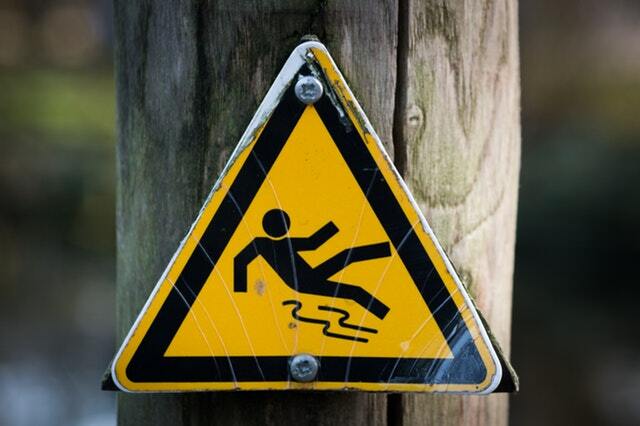 Many slip and fall accidents can be prevented with proper maintenance, by barricading the area to prevent access or by posting signs to warn others. Negligent Security. Businesses have a duty to take reasonable measures to protect invitees from violent crime or other dangers. Examples where negligent security cases may arise include apartment complexes, convenience stores, gas stations, schools and college campuses. Animal or Dog Bites. Dog bites can cause brutal injuries with lasting physical and emotional scars. The laws governing dog bites are different in a state so you will want to consult with an experienced dog bite attorney in Kansas City to ensure that your rights are protected. Daycare or School Injuries. Injuries at daycare or schools can arise in a variety of circumstances including on the playground, the classroom, or elsewhere on the property. Injury cases involving children present a number of unique issues, and it is critical that you contact an experienced personal injury attorney to ensure that your child is given the the level of service, attention and care needed. What do you need to prove to recover compensation? Duty of Care: To be legally entitled to compensation for injuries arising on someone else’s property, the first element you must prove is that the property owner owed you a “duty of care.” In most cases, the property owner owes a duty of care to anyone who is on their property legally or with their permission. For instance, a retail store owner owes a duty of care to its customers who visit the store during its open hours. Similarly, owners of a private home owe a duty of care to those who are invited or permitted to visit their property. Generally, property owners do not owe a duty of care to trespassers, except to not engage in willful or wanton conduct. There are exceptions to this rule, such as a dangerous condition that may attract children. The “attractive nuisance” doctrine would impose a duty to children who may be trespassers. Did the property owners know or should they have know that the condition exist on the property? How long was the condition present? Was an injury likely or foreseeable? Did the property owner take action to repair, remediate or warn others of the dangerous condition? If the landowner knew or should have known about the dangerous condition, whether it was an uneven sidewalk, hole in the road or floor, or broken escalator, then the landowner may be liable for an accident that results from that dangerous condition. If, however, the landlord had no advance knowledge of the dangerous condition and the condition was present very long, the landowner may argue that they were not negligent because there was nothing they could do to prevent the accident. Causation of Damages: The third element you must show is that your injuries and damages were caused by the dangerous condition on the property and not by some other cause that was unrelated to the property. You also must establish exactly what your damages are, which may include past and future medical expenses, lost wages and lost future earnings capacity, and past and future pain and suffering. Comparative Fault: The issue of comparative fault or negligence often arises in these types of cases and can impact your right to recover. Comparative fault or negligence is a defense to your claim that a property owner may assert. This defense is based on a claim that you are somehow partially responsible for the injuries you sustained. In a slip and fall case, this typically arises when a property owner asserts that you did not keep a careful lookout when you fell or that you did not follow the warning signs of the dangerous condition. If you were somehow at fault, even partially at fault, for your injuries, your right to recovery may be reduced or even eliminated. For instance, if a jury values your damages at $100,000 but finds that you were 25% at fault, your total recovery will be reduced by 25% to $75,000. In Kansas, if a jury finds you were 50% at fault or more, you recover nothing. This is a harsh rule for accidents that occur in Kansas. Missouri does not follow this rule and still would allow you to recover a reduced amount in those circumstances. All of the above will need to be addressed by a lawyer who is experienced in premises liability cases. You will want a attorney who understands the importance of gathering evidence, interviewing witnesses, and presenting the strongest case possible to show that the property owner was at fault, not you. Our law firm is experienced in handling these types of claims and can both guide you and ensure that your legal rights are protected. To get straight advice and an honest assessment of your case, please contact our Kansas City premises liability lawyer for a free, no obligation consultation by calling 816-203-0143 or using the form below. Do I need a premises liability attorney for my case? Premises liability cases can involve complex legal issues, and property owners often dispute liability. An experienced premises liability lawyer can help in a variety of ways and perform many different tasks. Most importantly, they can protect your legal rights and aggressively pursue your claim while you focus on what matters most - recovering from your injuries and being with your family. What will a premises liability lawyer do? Investigating your case, gathering and preserving evidence. This step is critical to ensure your legal claim is well positioned for maximum financial recovery. It includes obtaining and preserving any photographs, videotapes, eyewitness statements, or accident reports that are in the possession of the defendant or other parties. Preparing a demand package. Depending on the type of your premises liability case and the circumstances of the accident, your attorney may prepare and submit a demand package to the insurance adjuster for the other party. This demand package will include a variety of information including facts that establish the legal basis for your recovery, itemized statements of your bills and damages, medical records, photographs, videotapes, accident reports or eyewitness statements that validate your claim, and any other information that may be helpful for valuing your claim. Negotiating with the insurance claims adjuster. The insurance adjuster for the at-fault party is not your friend. Their sole purpose is to reduce the value of your claim and the exposure to the insured party. Your injury attorney should be experienced in negotiating with insurance companies in similar premises liability cases. In addition, he or she must be willing to take the case to court if necessary in order to recover the maximum amount you are due under the law. Filing a personal injury lawsuit and preparing for trial. If a settlement is not possible prior to filing suit, your premises liability lawyer should file your claim in court and pursue recovery of your damages in the judicial system. We handle personal injury claims, including premises liability claims, on a contingency fee basis. This means that we are not paid unless you recover compensation for your injuries. We advance all costs and expenses for your case, including filing fees, expert witness fees, and costs for preparation for trial. We are ready to be your partner in negotiating a fair settlement on your behalf and we are unwilling to do anything less than what will be required to give you the settlement you deserve. Call our Kansas City premises liability lawyer today. If you or a loved one had been injured due to a dangerous or defective condition on a property, call our law firm today for a free, no obligation consultation. Our Kansas City premises liability lawyer is standing by, ready to listen, offer helpful guidance, and pursue a full and fair recovery on your behalf. Don't wait - as there are strict timelines for pursuing your premises liability case. Call today: 816-203-0143. ?What is liability coverage and what amount is required of drivers in Missouri and Kansas?